A partner with Allan McDougall Solicitors, Julie heads up our market leading and award winning Personal Injury team. 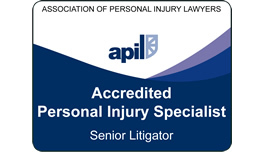 Julie has specialised in Personal Injury law since 1995. She has vast experience in pursuing cases involving work related accidents, industrial disease, road traffic accidents, cycle accidents, public liability claims and medical negligence. She has pursued many high value, complex cases and litigates regularly in the Court of Session and The All-Scotland Personal Injury Court. Julie regularly runs training courses in Personal Injury Law for other solicitors and trade union officials. She has been published on issues such as the impact of S69 of The Enterprise Act upon employees’ rights and the notion of presumed liability for cycle accidents. 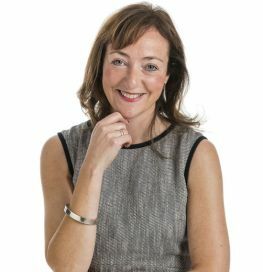 She is accredited by The Association of Personal Injury Lawyers as a senior litigator and by the Law Society of Scotland as a Personal Injury Specialist. As a solicitor advocate she is able to appear in Scotland’s highest civil court. Julie is a mentor on the Law Society of Scotland's Lawscot Foundation programme, which supports academically talented law students from less advantaged backgrounds. - Working at home accidents - who is liable? - Happy Birthday to the All-Scotland Personal Injury Court! - How has the Limitation (Childhood Abuse) (Scotland) Act changed the landscape for abuse survivors? - You've had a cycling accident - what next?